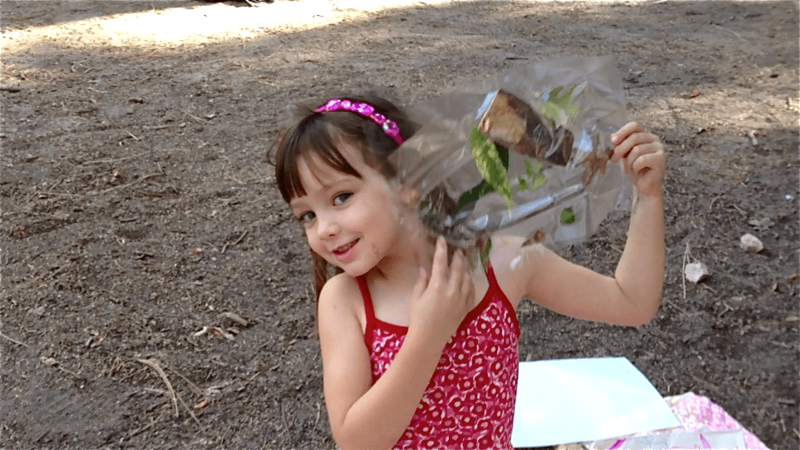 I had the pleasure of joining this gaggle of cute kids on a multi-family camping trip to Green Valley Lake, and of course I had to come up with a crafty twist on outdoor activities for the weekend. 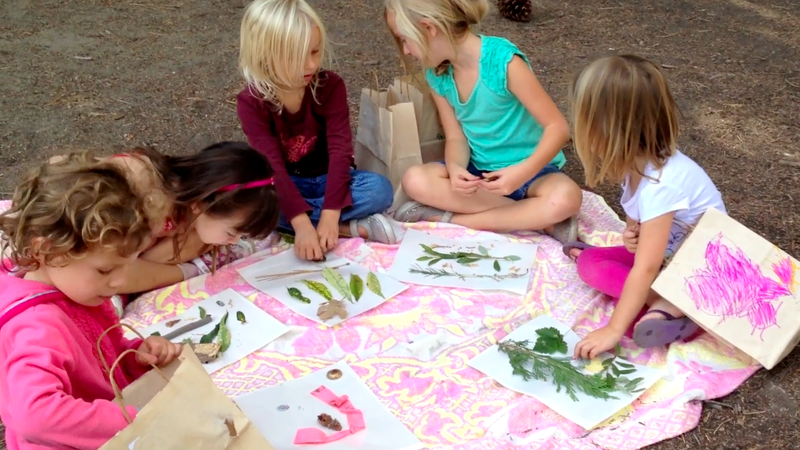 Wether you are in the woods or your own backyard, get inspired with these three super simple nature activity ideas to get your kids exploring, creating, and coming home with magical memories of their time with you in the great outdoors. I had so much fun on our crafty camping adventure with Scarlet and friends, I hope you get the opportunity to spend quality time with your brood in nature before the temperature dips. And please, share your favorite activities for camping with kids in the comments, ’cause we are already planning our next trip and I would love your inspiration. Have you ever done Snipe Hunting? It’s more of a night time thing as we loved it as kids. Love both activities! 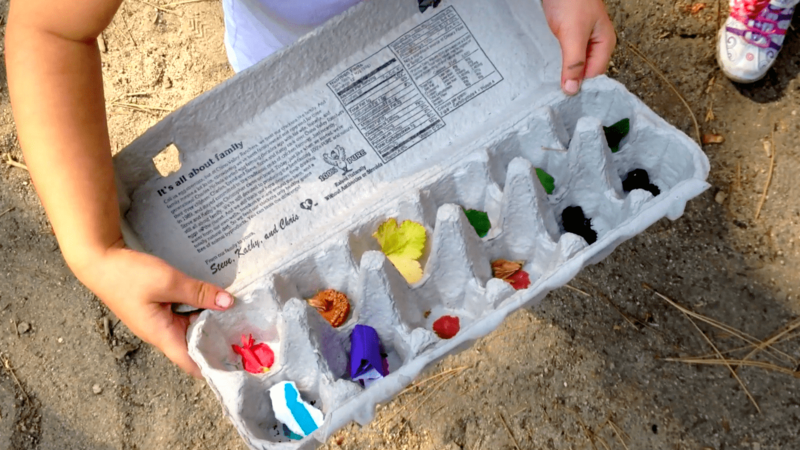 The colored egg crate project it’s a great way to practice learning colors with my toddler. Will try this one soon! Thanks!